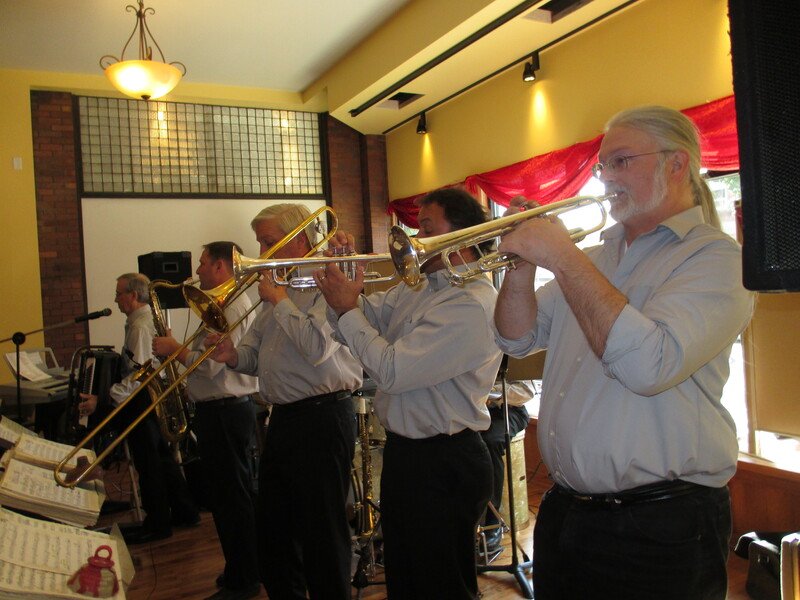 5th Annual Veterans Tribute Dance * Saturday, October 28, 2017 * Doors open Noon * FREE DANCE * 2 to 6 pm * Lyle Beaver & the Brass Notes * Savanna Museum and Cultural Center * 406 Main, Savanna, IL * Tribute & Veterans march around the ballroom at 3:30 pm * Join us in honoring our area veterans * Direct questions to Gary "Scott" Law (815) 908-0554. I came across your website while researching Wayne King, since he was an important figure in our company's history, too. 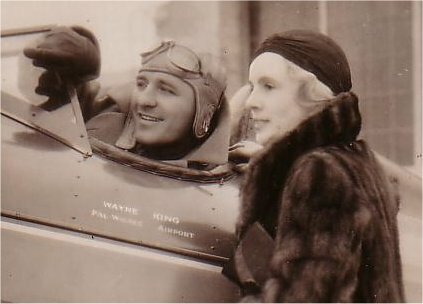 The picture shows Syma Cohen-Busiel and Wayne King in around the mid thirties at Pal-Waukee airfield, north of Chicago. many hands. Trade mark owners in the US are now a pharmaceutical wholesale company with no own production facilities and no roots back to Syma Cohen and the early history of this once very famous brand. Our German company is now the trade mark owner elsewhere in the world. We have in our archive some old merchandise material connected with Wayne King, If you are interested, I can scan them for you. On the other hand I should be very grateful, if we could learn more about the co-operation between Wayne King and Lady Esther. Unfortunately, our history related pages on the website are in German only. Lady Esther Ltd used to advertise to write to them to receive free samples, try them out and give a feedback. People received goodies in return, such as this print of Wayne King. 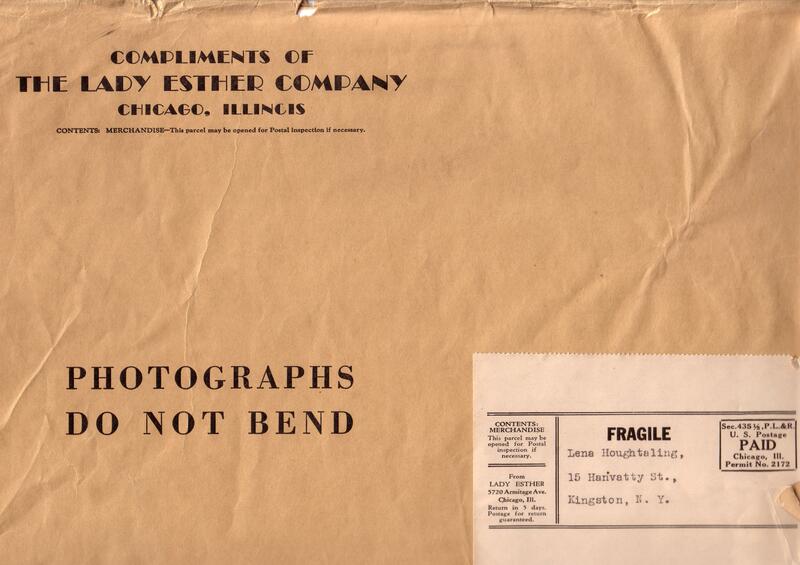 The mailing is undated, but should also be from 1933 / 34. In laters years they used cinema stars for their promotion. In 1943 Lady Esther Ltd sponsored the movie "Casablanca", the radio version, respectively. Ingrid Bergman can be heard in it speaking the promotion for Lady Esther after the radio show. Its on the bonus DVD of Warner's. Kind regards from Germany & Happy Easter! 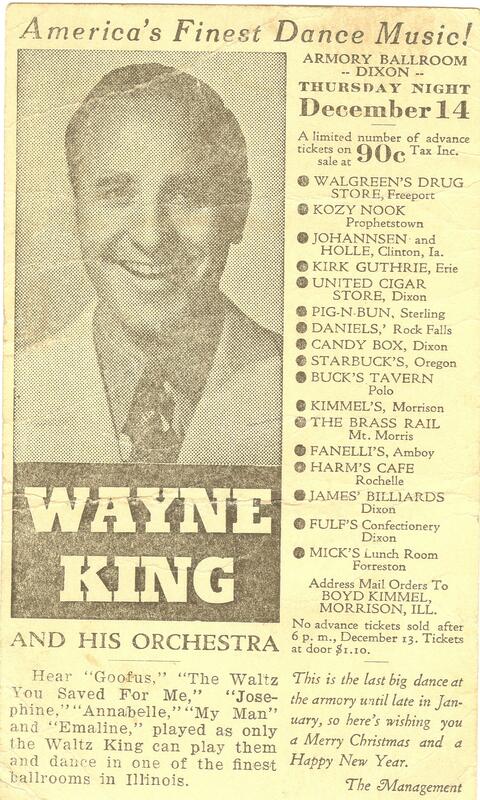 In 1951 Wayne King visited his city of birth, Savanna, Illinois. His visit was to honor Doctor Schreiter who delivered America's future Waltz King at 600 Bowen Street on February 16 or 18, 1901. 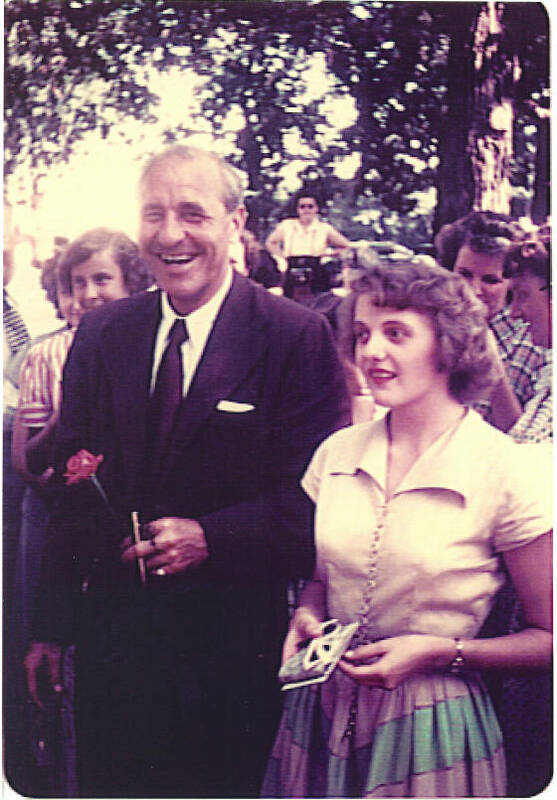 The visit was part of the festivities surrounding Doctor Schreiter being named the doctor of the year in the State of Illinois in 1951. This photo was snapped by the Homedew family. It's Wayne KIng and Adana L'homideu (some of the family use the old country spelling). Adana is one more of the nieces of Wayne's childhood friend Harold Homedew as mentioned below. In the spring of 2005, the nieces of Harold Homedew, Vernetta Homedew Near and Janis Homedew Wilt of Savanna, discovered a remarkable photo negative in their father's records. 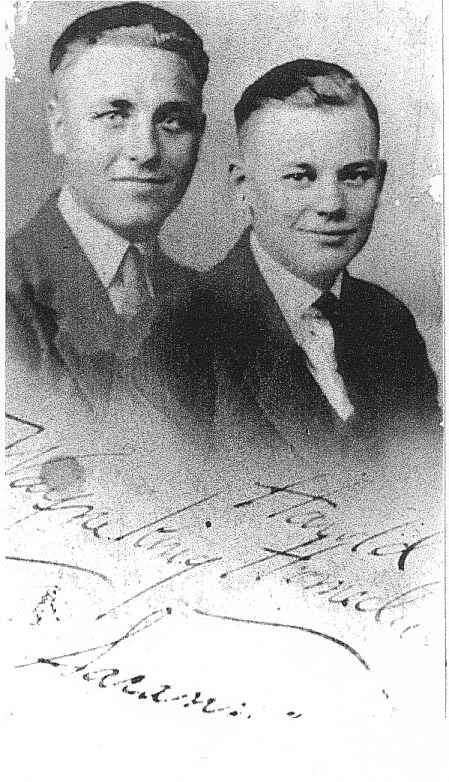 The negative, circa 1918-1920, revealed a portrait of Wayne King with his very close family and childhood friend Harold Homedew. 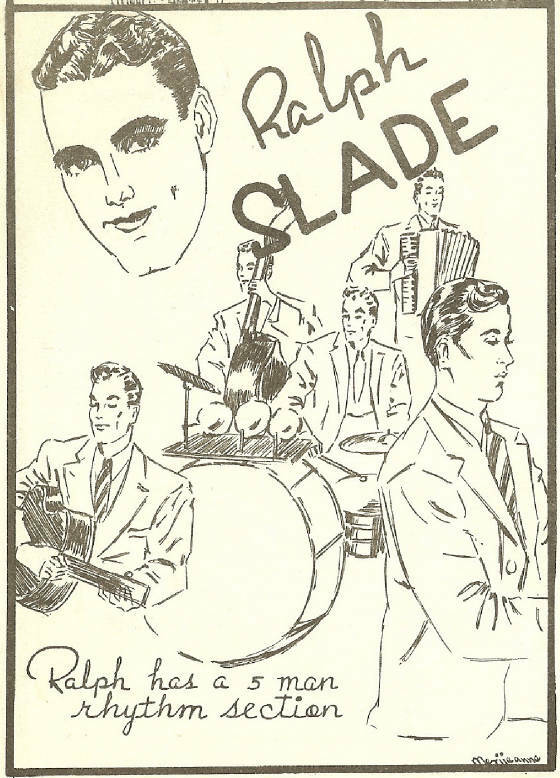 Harold, a really smooth dancer who won several dance contests, was featured at dances organized by Wayne King before he left Savanna for Chicago in 1921 to become nationally known as the Waltz King in 1927. 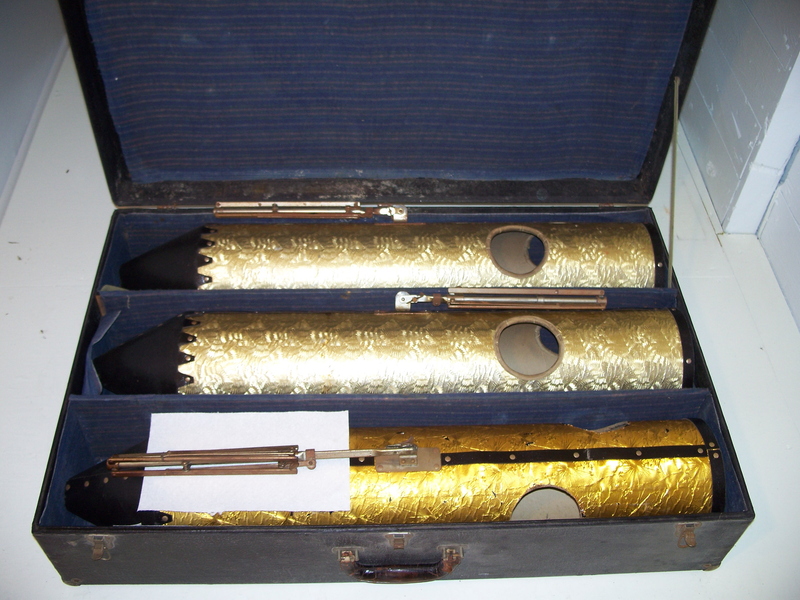 In September 2008, the Savanna Historical Society, NFP received these 3 saxophone mutes and stands in their original case for the Wayne King Collection. Wendy Baldridge of Savanna donated the instruments in memory of her father, the late Walt Baldridge. 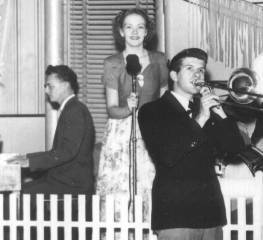 Walt Baldridge was a well-known businessman and auctioner in Savanna for nearly 60 years.